Fundraiser by Sonada Tavizon Nathan Gould : Campfire burned cheerleaders national dreams away! Campfire burned cheerleaders national dreams away! These are the jr. Midget bobcat cheerleaders. For the last few years our girls placed to make it to vegas nationals and could not afford to go, well this year we decided we would do whatever it took to get our girls there. They worked their tails off and deserve this memory. 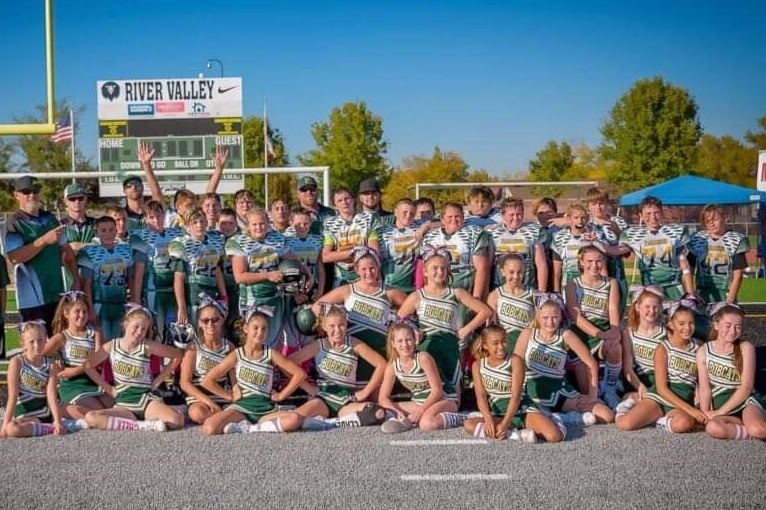 Most of them have been cheering together since they were six years old now are 12 and 13. We were able to raise up enough funds to pay for each of the 18 girls room in vegas, we were going to be on our way to vegas nationals, hard work paid off, however november 8th happened. The campfire wiped out the town of paradise, our homes. Some of our girls lost their homes among everything else. Some of our girls are forced to move away and out of homes that still stand due to landlords selling, we have been separated and devastated. There has been no practice because of this and now vegas nationals is no longer an option. They worked so hard for this and got all hopes up, years of hard work burned to ash. We want to do something speacial for our girls, one last memory together as many of us will separate from eachother and not by choice. We would like to take the money our girls earned through fundraisers and bake sales to give them a trip to Disneyland!!! It is not nationals but it would give them all one last chance to do something fun together, it is well deserved. Please help us by donating to our girls. Maybe purchasing 2 day park hopers, visa gift cards could be used for gas and food, anything helps and is much appreciated. We do have some money saved for them but its not enough to pay for all expenses as well as the portion for their parents. You can contact me sonada at 530-624-8995 or pm me for a mailing address and further information. Thank you and know you will help make memories that are great for our girls whom survied the campfireif you choose not to donate to go fund me i have a couple other options. if you purchase a disneyland park hopper please send it to my address, pm me for it, thank you. If you cant donate please share with your friends and family, church groups and friendly businesses, maybe they would help. Thank you kindly, our jr midget paradise bobcats!